The following article is a partial re-post from Addicting Info. Wes Williams' view on Beck's words are priceless. ...leave it to Beck to really go off the rails. He says that he wants to “make sure that people understand” that if the Supreme Court rules in favor of marriage equality, churches could lose their tax exempt status. “Maybe right away, maybe not right away, but it will happen,” he says. 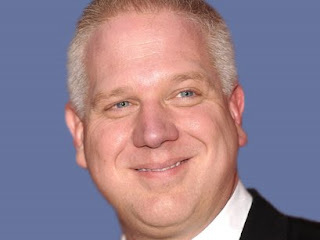 “You could lose your job by attending a church that doesn’t believe in gay marriage,” Beck continues. Seriously? Of course he offers nothing to back up that claim, because there are no facts to support it. That is just nonsense pulled from the nether regions of Beck’s backside. It’s worth repeating that a religion’s definition of marriage is not the same as a state’s definition of it. Marriage can be a spiritual contract sanctioned by a church, and churches have every right to determine who can enter into that spiritual contract. Advocates of marriage equality are not asking that churches recognize their marriage, at least for the most part. They are asking that they be allowed to enter into a state sanctioned marriage, which will grant them legal rights that currently only heterosexuals are entitled to in many places. States automatically recognize marriages performed in church, but churches do not automatically recognize marriages performed by a representative of the state, such as a justice of the peace. Whatever ruling the Supreme Court issues, nothing about that will change. What is so hard to understand about that? How pathetic is it that two people who are supposedly followers of Jesus feel the need to scare other supposed Christians by making up absolute nonsense about what will happen if a group of Americans is given equal rights?